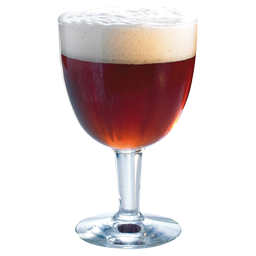 A strong, top-fermenting ale, with an alcohol contents of at least 8% and up to 12% (or more) by volume. It is called barley wine because it can be as strong as wine; but since it is made from grain rather than fruit, it is, in fact, a beer. Serve this beer in a special glass, that will concentrate the aroma. It is excellent with dessert. -The wort must have a density of 24° Pl at the end of the boiling stage. In order to achieve the necessary density, add sugar. Step 4: Whirlpool After boiling, set the wort in the whirlpool for 5 minutes, rest during 25 minutes.